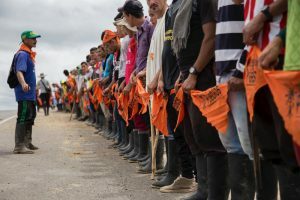 Guilherme Boulos of Brazil and Gustavo Petro of Colombia, leaders who have been at the forefront of the fight for an equitable and inclusive society in Latin America, were recently honored for their work. 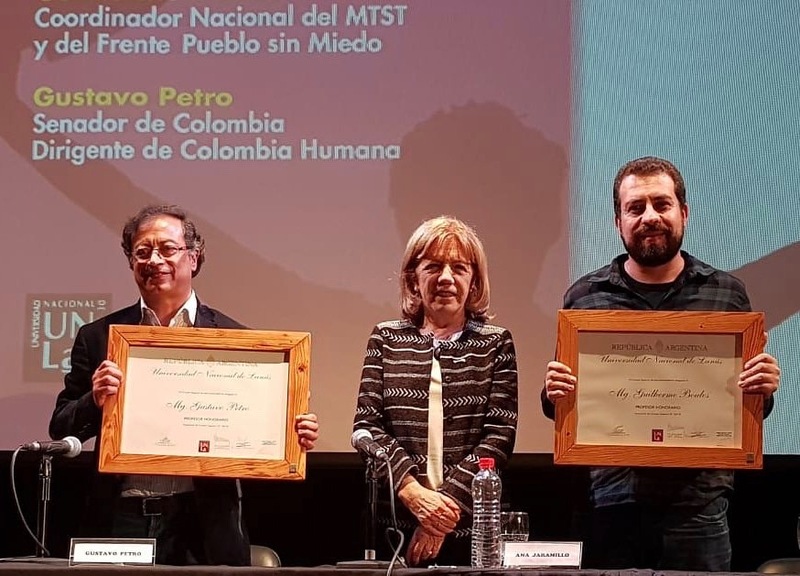 During the event, ‘Latin America in dispute’, Boulos and Petro were awarded the title of honorary professor for their work and contribution to “defense for peace” by the National University of Lanús, Buenos Aires, Argentina, on November 17. Guilherme Boulos is the national coordinator of MTST (Homeless Workers’ Movement) and People Without Fear Front. Gustavo Petro is a Colombian senator and the head of Colombia Humana, a left-wing political platform. 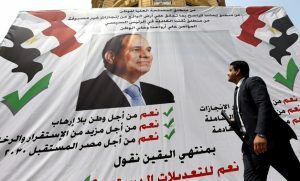 He was also a candidate in the presidential elections in the country. “Our university is an institution strongly committed to democratic values and defense of human rights. From this point of view, Gustavo Petro’s career deserves to be highlighted for his public work in defense of such principles and in particular, for peace”, said Santiago Hernández, welfare secretary of the university and the organizer of the event. Both the social leaders spoke about the importance of democracy and continuation of social struggle. “When the university opens to people and people come to the university, then there is true democracy. Democracy only happens when people have access to knowledge. As you know, a person who defends dictatorship and seeks to close off our country from our Latin American brothers has assumed the presidency of Brazil. This fascist advance is expressed in the politicization of justice, what we have seen in Brazil with Lula but also in Argentina or Ecuador. Bolsonaro tries to label social movements like the MST or the MTST as terrorist groups. The social struggle cannot be ended by decree, by violence or repression..[In order] to end social conflict, it is important to provide dignified housing to all Brazilians. Today, when we came here, we stopped at the Dario and Maxi station [named after two young activists who were shot dead by the Argentine police during a social protest in 2002]. 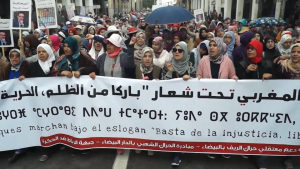 Talking with Alberto Santillan [Dario’s father], we understood that we have to continue fighting, continue dreaming of a continent where women can decide for their bodies and their lives, where they have the same rights as men. This dream is built with freedom, democracy and critical thinking of the people. They globalize fear, we [globalize] freedom”, said Boulos. “Democracy cannot be strengthened without social diversity. The history of Colombia in the last few decades is a story of fascism, war and dictatorships. More than 200,000 Colombians have died in this context in recent years. These deaths are a sign of the rupture of the social fabric and of the territories. Colombian society is one of the most unequal ones in the world. We have wanted to maintain a balance of theory and practice, given the conflict that is generated in solving the problem of democracy in our country. Latin America is at a crossroads. We maintained hope, in the context of the elections in Brazil, Colombia and Mexico, to re-create a progressive axis of a new time. The same forms of economy and accumulation of capital are putting in question the life of mankind. It is no longer the struggle of bourgeoisie and workers, it is the struggle for capital or for life”, said Petro. Hey Buddy!, I found this information for you: "“We globalize freedom”: Guilherme Boulos and Gustavo Petro honored". Here is the website link: https://peoplesdispatch.org/2018/11/21/we-globalize-freedom-guilherme-boulos-and-gustavo-petro-honored/. Thank you.